We provide medical house calls in Atlanta for patients as an interim or primary care physician treating chronic and acute conditions, or to treat urgent (non-emergency) conditions. 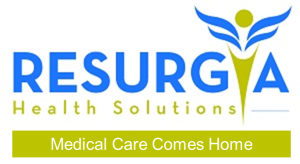 Resurgia’s house call medical practice in Atlanta GA is staffed with board certified clinicians that specialize in internal and geriatric medicine. Our house call clinicians are experienced in urgent, acute, chronic, geriatric, palliative and post-operative care, and are committed to changing the way medical care is delivered. Resurgia’s visiting physicians and nurses provide primary and transitional medical care at home to adult patients of all ages with a wide range of chronic, acute and geriatric conditions in Atlanta and surrounding areas. 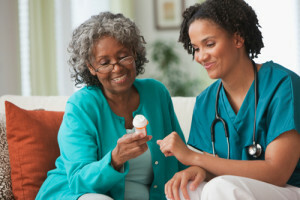 Home Care Essentials treats patients with multiple chronic or acute conditions that require ongoing medical care management, AND patients who are just not feeling well and need quick medical attention without having to spend countless hours in the doctor’s waiting room. Although most patients ask us to become their Primary Care Provider (which we are happy to do), some just need to be seen for an immediate condition, on a one-time basis. 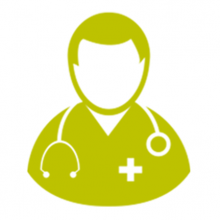 Either way, our house call medical practice will visit you and provide you with a high quality medical care at home. We currently provide Home Care Essentials to patients living in the Metropolitan Atlanta and Greater Atlanta area, as well as those in surrounding counties including Henry, Clayton, Cherokee, Cobb, DeKalb, Douglas, Fayette, Fulton, Gwinnett and Rockdale. 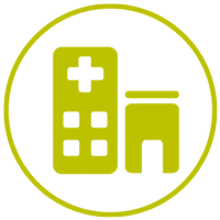 Home Care Essentials patients get access to the full spectrum of primary care medical services without having to spend time in a doctor’s waiting room. Call 1-84House-Doc to learn how Resurgia’s House Call Medical Practice can provide full-service medical care in the comfort of your own home. 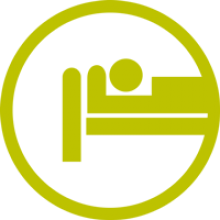 In addition to covered services, we will assess each patient a trip fee of $75 for visits within our core service area. We often see patients outside of our core service area but calculate their trip fees based on transit time and distance, and is provided to you when scheduling an appointment. You can pay us directly, and file a claim with your Health Plan. Visits start at $149 plus applicable trip fees and we accept checks and all major credit cards. Please no cash.